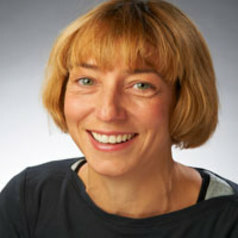 Anna Gilmore is Professor of Public Health, and Founding Director of the Tobacco Control Research Group at the University of Bath. The policy impacts of her research have been recognised through two international awards – the Public Health Advocacy Institute Award for outstanding use of tobacco industry documents and the WHO World no Tobacco Day Award for outstanding contribution to tobacco control. She is European Editor (previously Senior Editor) of the Tobacco Control, the leading journal in her field, recently held a prestigious Health Foundation Clinician Scientist Fellowship, has been a member of various international expert groups including the WHO Expert Committee to Examine Tobacco Industry Interference with Tobacco Control and sits on various national expert groups including the Royal College of Physicians Tobacco Advisory Group. Her research group established and run www.TobaccoTactics.org, a novel knowledge exchange platform that makes research on tobacco industry conduct available in a timely and accessible manner.